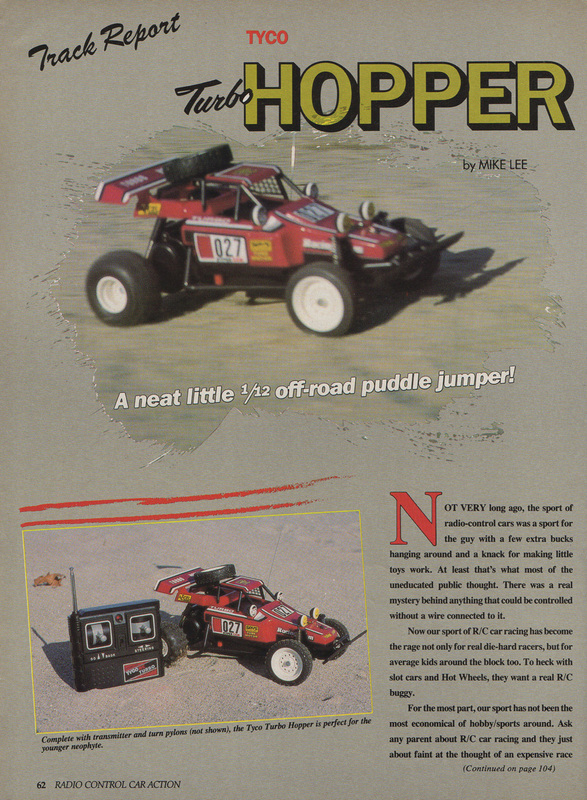 Back in 1986, R/C hobby magazines were a lot more unassuming than they are today, and the toy-grade Tyco/Taiyo Turbo Hopper was actually featured in an article and review by the glossy Radio Control Car Action magazine in the USA, a publication normally reserved for hobby grade products only. No wonder it was so popular! 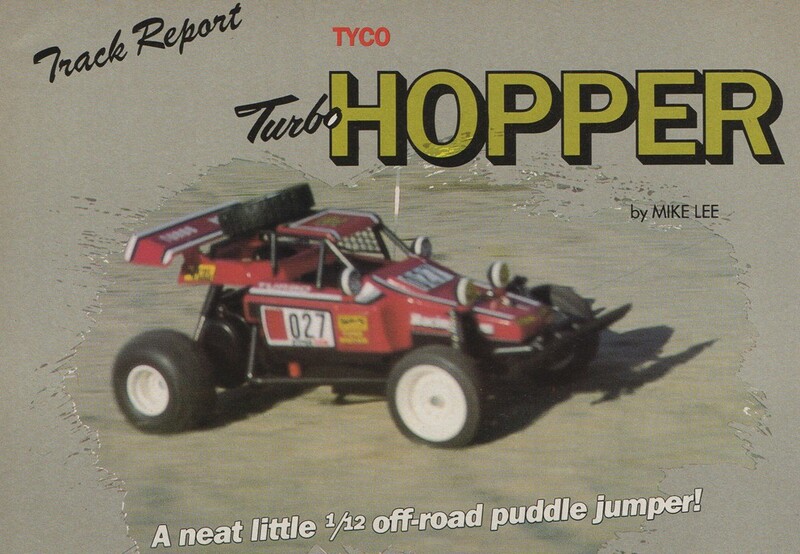 The Tyco/Taiyo Turbo Hopper was a hugely popular R/C toy buggy in the USA in the mid 1980s. It was the US release of the original Taiyo Jet Hopper of Japan – a popular ready-to-run R/C buggy with a spare tyre on it’s roof, which was making waves in the international toy market. With the help of Tyco’s glossy marketing and exciting TV commercials, the US model sold in phenomenal quantities over several years from the mid to late 1980s. Let’s look back at the Turbo Hopper, it’s popularity, and even it’s distinctly American TV commercials featuring the buggies jumping along dusty country roads (set to banjo music of course! ).